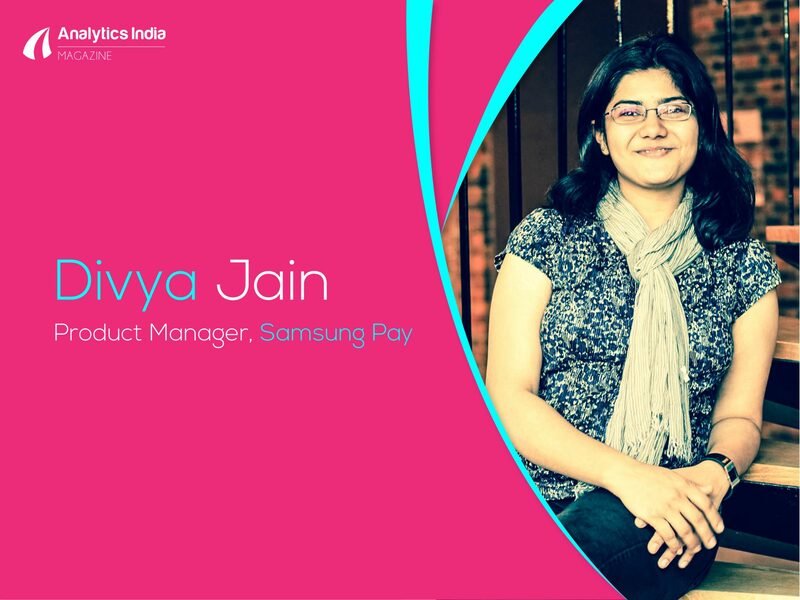 For this week’s column, we spoke to Bengaluru-based Divya Jain, Product Manager at Samsung Pay, Samsung’s mobile payments app that is picking up support and going head-to-head with other payments wallet. Jain, an alumna of IIT Bombay and INSEAD, says she entered the analytics domain by joining a management consulting group right after finishing her BTech. Like most senior managers, Jain follows a goal-based approach in her work life. She starts her day by listing down the priorities and then works in that particular order. “Urgency, dependency, impact and effort can be the parameters one could use for prioritising,” she reveals. Outside her day job, Jain plays the sitar, paints in watercolours and is a chess pro. “I focus on what is important and consciously not do what is not very important, to make time for the former. I am very priority and goal driven at work as well,” she said, giving a peek into how she balances the scale at work. During her spare time, she also plays badminton and table-tennis. In her day-to-day role at Samsung Pay, Jain handles a large team in a matrix organisational structure where most members do not report to her directly. “Hence I need to align the needs for data from various stakeholders by conveying the importance of the analysis to each stakeholder and tying it to the team goals,” she shared. What she likes most about her job is ‘creativity with engineering’ and imagining how a product or service can give an ‘aha’ relief to users. 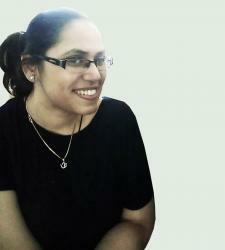 “My workplace expects and in fact demands thinking of new possibilities, that is the part I like the best,” says Jain. A regular day at Samsung Pay begins by going through the Dashboard on the products and checking for anomalies. A part of the day is also spent planning improvements based on observed data and the rest in guiding the implementation. Another key aspect is reporting about the key metrics needed by different stakeholders in management and sharing the insights in the form of analyses. “In large teams, it is important to keep the stakeholders informed of key metrics and performance, along with key tasks required by various stakeholders, backed & based on data,” said Jain. Largely, her work revolves around defining the key metrics that require tracking for each product feature at each stage of the product development. “It all starts with feature prioritization which involves Impact Effort ratio analysis. Time to market is another key analysis at the planning stage. We do clustering in ML to understand user patterns and define promotion campaigns.,” she said. User-flow analysis helps in understanding the performance of various parts of a product. When a product is launched, Jain and her team analyze the performance vis-à-vis APK adoption. Funnel Analysis helps in breaking the performance down to intermediate steps and then comparing the expectations with the performance to figure out where a course correction may be required. We quizzed Jain on the choice of her toolkit as a Product Manager — who are regularly tasked with defining product features and analysing product adoption along with performance metrics. Interestingly, Jain shares that her toolkit of frameworks for product definition is a bit different from that of the analytics/ engineering teams and includes the Blue Ocean framework, Business Model Generation framework, Lean Hypothesis validation/invalidation analyses. Jain and her team recently launched Financial Services at Samsung Pay through which the users can apply for a credit card, personal loans as well as check their credit reports from credit bureaus. Since analytics plays a big role in understanding user behaviour. “We break down the user journey right from the channels through which the user is informed about the service, to starting the journey, getting quotations, applying for a card or loan and even getting assistance in the process. Then we analyse the funnel — the % of users moving forward from one stage to the other. This, when compared to how we expect the behaviour to be, gives insights into which stage of the journey needs to be improved and the changes that might help,” she shared. At a time when the data science industry is undergoing a major transformation and talk of upskilling is gaining ground, Jain, a practitioner and observer of the analytics ecosystem who has seen the rapid expansion within this domain systematic adoption. She believes that a lot of the industry still runs on old tech and re-skilling the analytics teams remains a challenge. However, the data-driven mindset has percolated down the Tier-1 leadership and management level. Her advice for beginners and analytics aspirants is to watch how the field is progressing, take valuable advice from seniors and follow a focused path and then work at it. Apart from this, her general advice is that when one reaches a stage where one can lead, then you should try to become a leader rather than build a career.